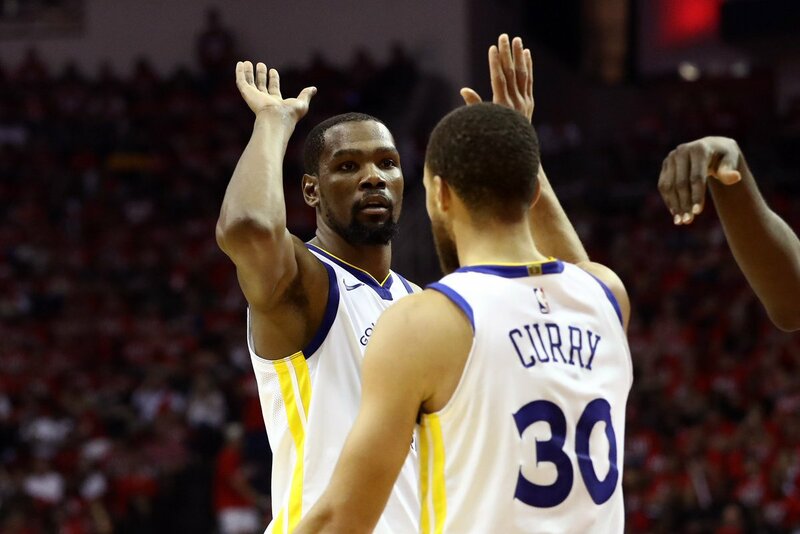 The Golden State Warriors have maintained an air of confidence leading into the Western Conference Finals against the Houston Rockets. The result of their regular season series with the Rockets (2-1, Houston) didn’t matter. Nor did it mean anything that Houston was the No. 1 seed and had home court advantage. To be the best, you do have to beat the best. Houston has been looking towards this series all season long. While they had success against Golden State in-season, the playoffs are another beast altogether If they were going to get it done this time, they needed everyone to bring their ‘A’ game. With 41 points, seven assists, and four rebounds, it is safe to say that Rockets guard James Harden absolutely brought his ‘A’ game. “We know James is an all-world scorer, he’s gonna make shots over us, we just try to stay solid,” Kevin Durant said after the game (NBC Sports). As good as Harden’s game was, the Rockets ended up having one significant problem. No one else had a good night. Chris Paul didn’t have a bad game with 23 points and 11 rebounds. But no one else had a game that could even remotely be considered good for Houston. Clint Capella added another 12 points and Eric Gordon chipped in 15 off the bench. P.J. Tucker followed up a 19-point effort in the series finale against Utah with a single-point. On any other night, the game the Rockets had would have been good enough to beat many teams. But they weren’t playing those other teams or against just any old superstar. They had to face a red-hot Kevin Durant. Durant was 14-27 from the floor for 37 points. But unlike Harden, he had more than just a little help from his friends. Klay Thompson had 28 points, Steph Curry added 18, and Andre Iguodala had 11 points. The game started out as good as expected with the Rockets taking an early lead, 30-29, after the first. 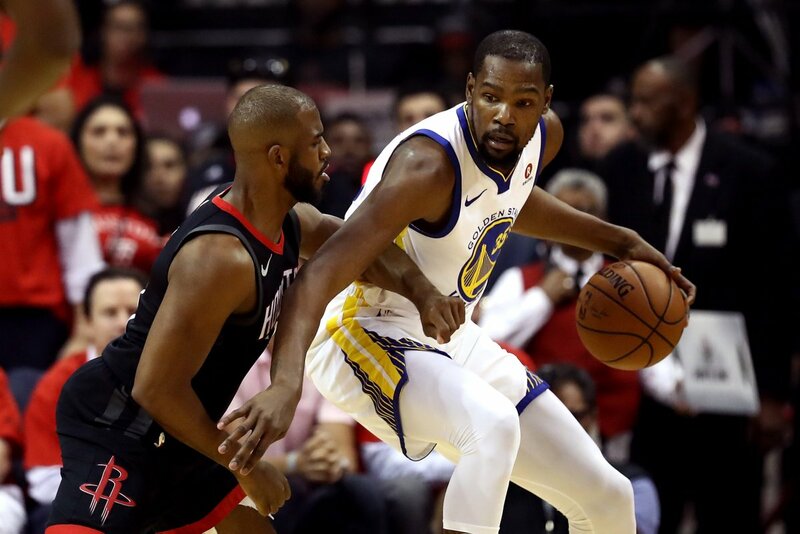 But Golden State flipped the script in the second quarter and outscored the Rockets by one, 27-26, to tie the game at 56-56. But then the Warriors did what they have done all season long—controlled the second half. They had a seven-point lead over the Rockets entering the fourth quarter and never really looked back as they lead by double digits for most of the final quarter. When the final seconds ticked away, the Houston Rockets fell to the Golden State Warriors, 119-106. Game Two will be Wednesday night in Houston. Tip-off will be at 9PM ET. If Houston is going to have any chance of winning this one, the rest of the roster will have to show up.